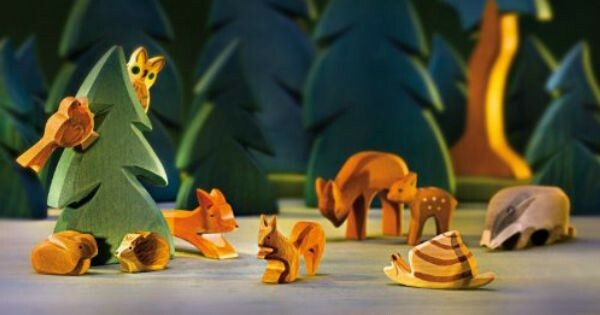 There is not a button or battery or movable part in sight and yet these divine wooden toys will set little imaginations alight in the most wonderful and inspiring of ways. Beautifully handcrafted by Ostheimer, a leading toy maker in Germany for over 50 years, these charming wooden toys are heirloom quality and safe to play with. Choose from farmyard favourites like sheep, roosters and cows to woodland creatures like the fox, deer and duck. There are also more exotic animals like a flamingo, giraffe and whale to ensure there truly is a wooden toy to delight every child. 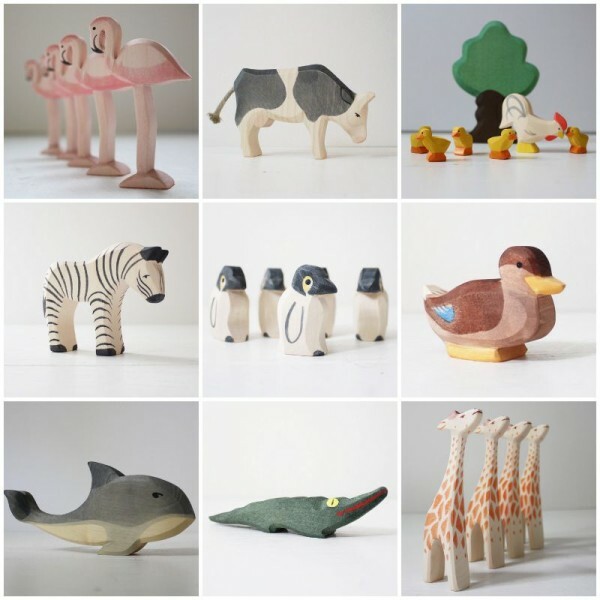 Each Ostheimer wooden toy has a soft-edged form and is made from sustainable hardwood like maple or ash. They are hand-painted in lovely soft colours that are non-toxic and water-based so they meet the highest European safety standards for toys. The toys are only quite small in size and range from four centimetres for smaller animals like the duck to 14cm for taller ones like the giraffe, so they’re best for preschoolers or older. A gorgeous range of these toys have been selected by Little Goldie. Store owner, Sonali has curated a range of the most amazing finds for babies and kids that have a common theme of being hand-made, environmentally friendly and heirloom quality. The Ostheimer wooden toys are available for purchase through Little Goldie’s online shop, based in the UK. They are individually priced between UK£5 and UK£14 so you will want to pick up more than a few to create a magical wildlife scene of your very own.